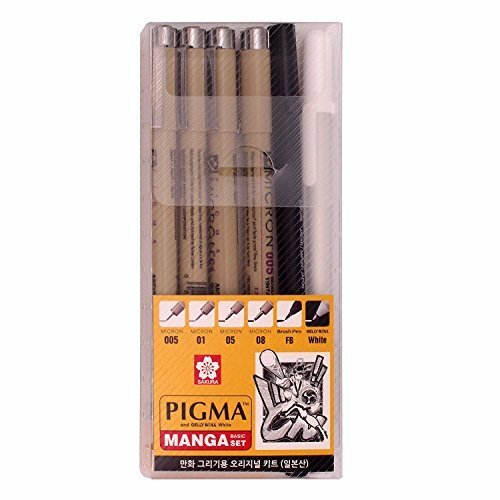 Introducing an artists gift set for the Pigma Ink fanatic. 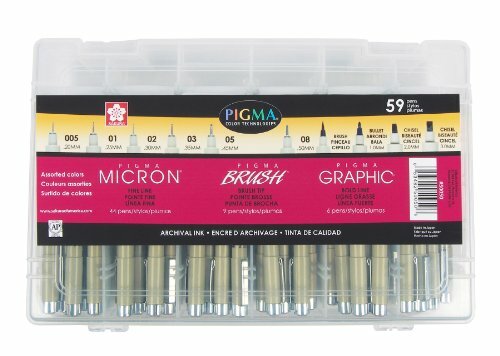 Every current color and point size of Pigma Micron, Pigma Graphic and Pigma Brush in a durable, plastic carrying case. 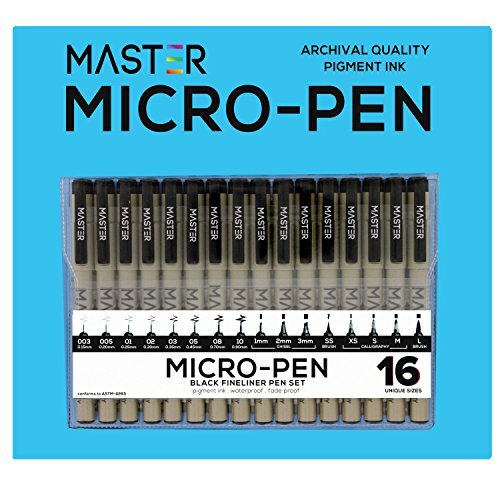 Great for art, journaling, paper crafting, scrapbooking and illustrating. 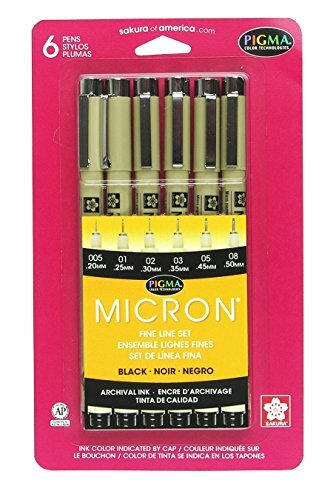 When accuracy, minute details, and preservation count, the unparalleled archival quality of pigma micron pens makes them everyone's first choice. 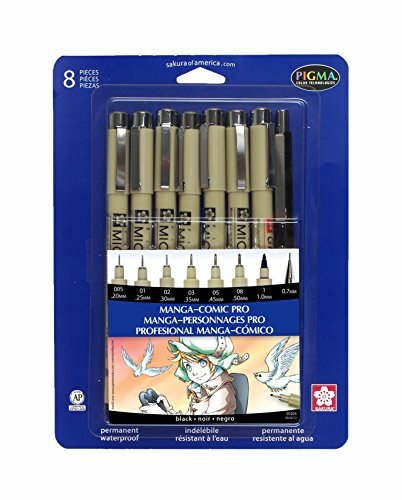 Artist, writers, and illustrators reach for pigma micron and know their work is safeguarded with the permanence of pigma ink. 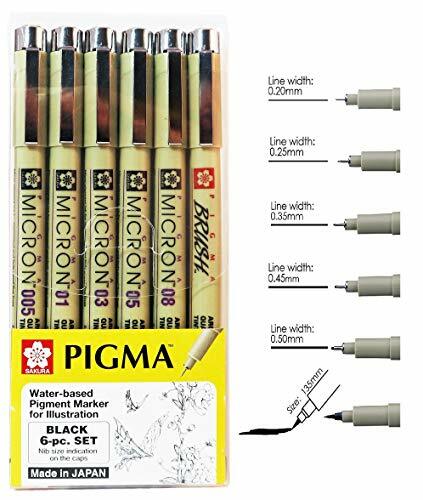 The first disposable technical pen using archival pigmented ink, pigma micron ink pen is selected for finepoint technical and artistic applications. 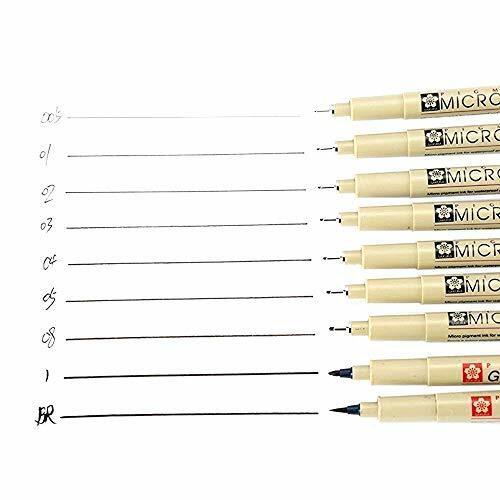 Set consists of 1 each pigma micron 005, 01, 02, 03, 05, 08, 1 each graphic 1mm all black, 1 each 0.7mm fixed sleeve mechanical pencil.